Struggling Swansea's first league win at Anfield blew a huge hole in Liverpool's title ambitions as Fernando Llorente struck twice in a shock 3-2 victory. The Swans, bottom of the table before kick-off and without a victory in 15 previous league visits, became the first team since Manchester United a year ago to inflict a home defeat on the Reds. They did it the hard way as well as after Llorente had put them into a surprise 2-0 lead just after half-time a double from Roberto Firmino levelled things up, with the visitors indebted once again to Gylfi Sigurdsson for their winner. Llorente's good recent form has seen him score seven times in the last 10 Premier League games and despite interest from Chelsea it is imperative to Swansea they keep hold of him as they fight for top-flight survival. The ease with which he scored his two goals will be of concern to Jurgen Klopp, whose side have conceded more goals league than any of their top-seven rivals. A minor positive for the Reds boss will have been a return to form for Firmino, who had scored just one in his last 10 matches as his dip mirrored the injury-enforced absence of fellow Brazilian Philippe Coutinho - with whom he has a close relationship on and off the field. 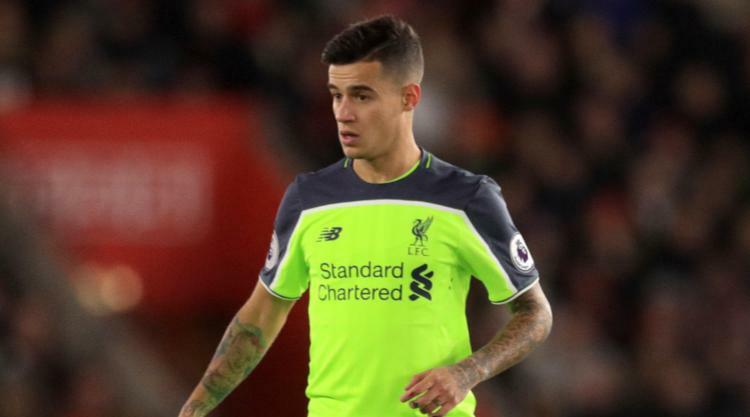 Coutinho's first Premier League start since November 26 appeared to re-energise his compatriot, restored to his preferred central role, but it still failed to enliven a lacklustre first half memorable only for an Adam Lallana bicycle kick and Swansea debutant Tom Carroll hitting the post with a deflected shot. Swansea manager Paul Clement's game plan of putting men behind the ball and stifling Liverpool's play was not anything which had not been seen before at Anfield but they succeeded in preventing their hosts having a first-half shot on target for the first time in the league since November 2015. Following such mediocrity after the break things escalated quickly - to quote watching Hollywood A-lister Will Ferrell's Anchorman character Ron Burgundy - with three goals in eight minutes. Dejan Lovren carelessly headed behind and from Sigurdsson's corner Llorente stabbed home in a goalmouth scramble in the 48th minute. Firmino's close-range header from James Milner's left-wing cross reduced the deficit soon after and the Brazilian bettered that with his second, brilliantly chesting down Wijnaldum's cross and smashing a half-volley past Lukasz Fabianski. The momentum seemed to be with Liverpool but Swansea refused to back down and when Reds centre-back Ragnar Klavan diverted the ball to the unmarked Sigurdsson he made no mistake in the 74th minute. Fabianski saved Origi's shot on the turn and Lallana saw a header bounce back off the crossbar as Swansea hung on to record back to back league away wins for the first time since May 2015 and spring new life into their survival bid.